Dinosaurs where mentioned by God as His number one example of His creative power in the discourse with Job. Why are their past existence used against the Bible? A parrot and T-Rex were found buried together in flood deposits. How can this and other finds be reconciled with modernist views? Warner continues: “At dig sites scientists have found fossilized mammals that look like squirrels, opossums, tasmanian devils, hedgehogs, shrews, beavers, primates, and duck-billed platypus. Paleontologists have found 432 mammal species (including 100 complete mammals) in the dinosaur layers; almost as many as the number of dinosaur species! Cartilaginous fish (sharks and rays), boney fish (sturgeon, paddlefish, salmon, herring, flounder and bowfin) and jawless fish (hagfish and lamprey) have been found in the dinosaur layers and appear the same as modern forms. Dinosaurs have been found with all major animal groups, buried in flood sediments! "if provided the complete evidence from the field, one should see displayed a T. Rex or a Triceratops, along with ducks, loons, [and] flamingos in the same rock layers as these dinosaurs!" Extinction is a common factor affecting thousands of species today, as such likely contributed to the general reduction of the dinosaur populations. We have the dinosaurs in the fossil record preserving their past for us, but in no way does their presence contradict the Bible, in fact, God mentions such huge creatures in Job chapter 40 & 41 as a showpiece of His creative power saying; "Look at Behemoth, which I made along with you" (Job 40:15) This passage shows that we, (like the birds, fish and other life mentioned) were made at the same time as the dinosaurs, not millions of years prior! Intact red blood cells and flexible callogen have been found in T-Rex... Hardly from 70 million years ago! Other creatures long thought extinct "millions" of years ago but found alive today include the Coelacanth fish, said to have lived over 300 million years past. Considering the environment of the current, post-flood earth; that of a cooler, more temperature divergent and sparsely vegetated landscape and our oxygen depleted atmosphere, it’s easy to imagine such conditions having a stunting effect on all life, including the growth of dinosaurs. Biologists tell us lizards keep growing until death. The First Earth with its oxygen rich atmosphere, amazing foliage, hawk sized insects and turtles 20 feet across had life sustaining characteristics ideal to allow these animals to attain the sizes we see in the fossil record, but not today. Have Dinosaurs lived in recent History? King Gilgamesh[i] from Babylonia is recorded to have journeyed into the wilderness and killed one of these creatures, returning with its head. We have accounts of Knights going off to slay their dragons; lore suggestive of reality. As Alexander the Great traveled across India, it's recorded the locals directed him to a cave where they sighted a giant lizard, the natives begging the Chieftain not to slay it. [ii] It seems that it was sporting to hunt these animals in earlier times, reducing their number. In the remote swamps of the Congo, Papa New Guinea and Cameroon, locals treat their existence as commonplace and have names for multiple varieties. When shown images of different non-dino species of reptiles and mammals from around the world, they shake their heads at the images, but when it comes to drawings of dinosaurs they casually pick out species they have personally observed, know by track or have acquaintance of those who have seen them first hand. [iii] It seems in today's environment, Dino's only grow to smaller sizes, and their numbers reduced. ”It is now becoming obvious that the mixing of terrestrial and marine environments is not a rare occurrence. Discoveries in Morocco and Europe have now shown that most dinosaurs are found with marine fossils or buried in marine sediments in the rock record.” Clarey cites that in the Hell Creek dig, 5 types of sharks and 15 fish species have been identified packed in water deposits with dinosaurs, evidence that they all perished together in the Flood. The Bible tells us that the Flood calamity "grieved the heart of God" and he promised not only to spare man of such a future judgment but also the animals, where in Genesis chapter 9 God says: "I will establish my covenant with you, and your descendents after you (that’s us!) and every living creature that is with you, all that go out of the ark, every beast of the earth; never again shall all flesh be cut off by the waters of the flood; never again shall there be a flood to destroy the earth." The new "covenant" is now with His Son, Jesus Christ, who promises us a safe place in heaven (our "ark") with our friends and family, no doubt including all the animals He created! Bill Cooper names over 120 locations in England that recorded sightings and slayings of a variety of these beasts, some noting them as troubling to fowl and rabbits. 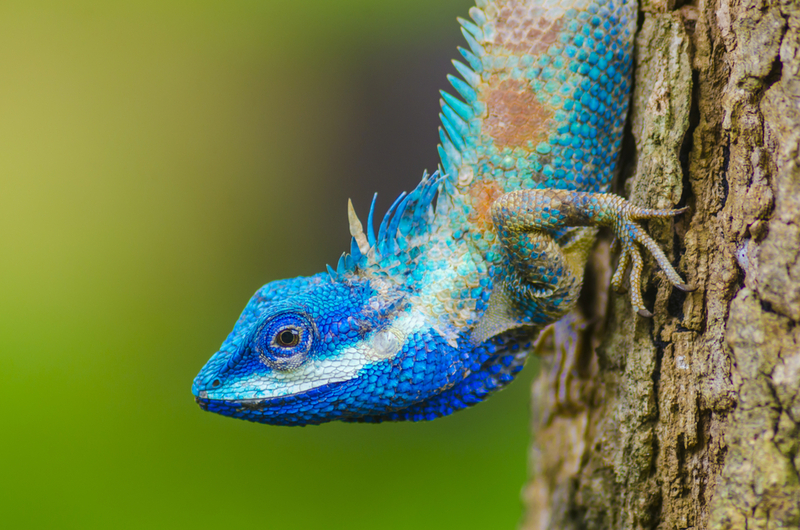 [ii] Other dinosaurs were noted as having a beautiful shimmering coat of jewel-like skin, not unlike many smaller lizards today. The powerful Creator possibly made these creatures as walking paintings, and as the original earth had no bloodshed in its food cycle, (see Genesis chap. 1,2) they could have been curious and possibly friendly creatures! 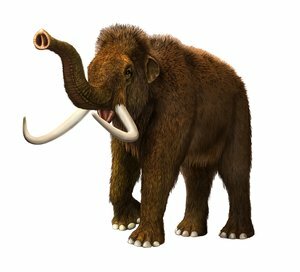 Note that the huge warm-blood horses (of Budweiser fame) are the most kind-hearted and friendly horse known, the same may be said concerning elephants, (likely as the mammoth was below) the largest land mammal existing today! Dinosaurs are found in thousands of locations around the world in one specific condition; buried in water deposited sediments turned to stone. This method of preservation is without question and provides ample support to the authenticity of the Flood account. One cannot separate these animals from this method of preservation and their destruction. In Alaska, 14 dinosaurs were found jumbled together in a heap, the researcher admitting "they must have washed up together in a flood" in an area containing mammoth and bison fossils. 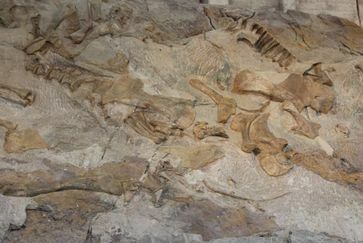 They also observed the remains were not yet "fossilized" indicating young age. ​​Dinosaurs have be found heaped together in jumbled masses, their remains only partially fossilized on the Colville River. 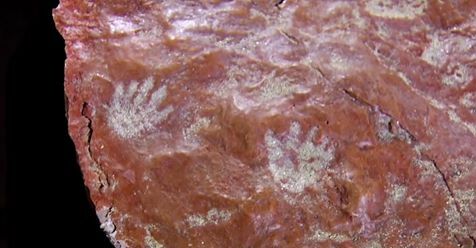 Recently, highly condensed trackways have been located in Denali Park, including fossil remains, and bird track. Note these trackways range across a ridge, suggesting the animals were seeking safety on high ground.